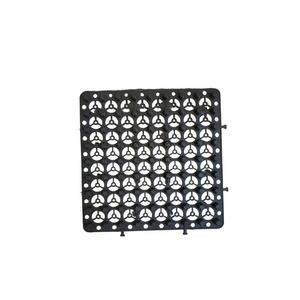 Pondage and drainage plate material itself is a kind of very good waterproof materials. Drainage shielding panels have very good ventilation moistureproof effect to use on the ground or metope. After confirming your order, the sample&rsquo;s freight cost will be deducted from your order&rsquo;s total cost. 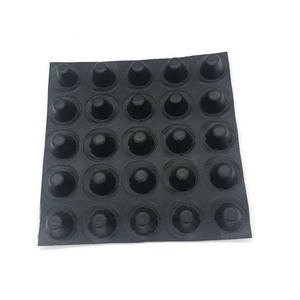 Dongguan Haoyi Building Materials Technology Co., Ltd.
Water Drainage : Drainage plate can be used in combination with non-woven to get rid of the rain immediately and effectively relieve the roof&rsquo;s pressure caused by the instantaneous rainfall. Water Drainage : Absorb and store redundant moisture leaking from the planting layer and supply needed moisture for the plant when the soil lacking of water to improve plant&rsquo;s drought-resistance ability. 3.Application o f green roof drainage board/drainage mat : Transportation work: river diversion and drainage on roadbed and surface of highway and railway; Draining in dyke and flow backwards layer. 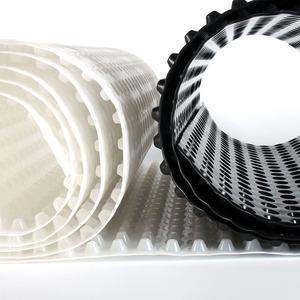 The groove can collect water that is filtered through thegeotextile, the hole which can drain excess water. Composite Drainage Board Main Features 1. Convenient construction, easy maintenance and economy. 3. The water can be partially stored and the remaining water can be drained quickly. 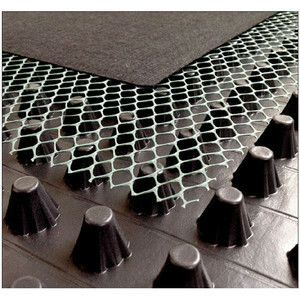 green roof drainage board plastic drainage board drainage board with geotextile Rapid infiltration drainage Plastic drainage plate (drainage sheet or geotextile mattress plastic drainage board (drainage sheet or geotechnical mat) is a kind of high surface opening rate and internal porosity seepage drainage geosynthetic materials. 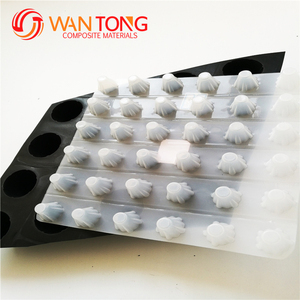 It is using the polyolefin polymer resin formula raw material by extrusion, hot glue, molding shapes and made of silk air Honeycomb mesh between the three-dimensional structure of plate, sheet shape body (also called core body), the filter cloth and wrap and new drainage material made of. 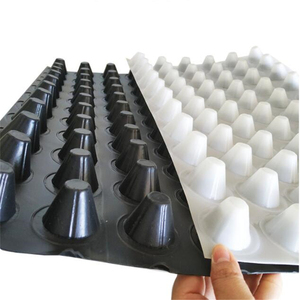 Its use must cooperate with geotextile or other filtering materials, so as to achieve floods, the function of the filter water, drainage, because of its similar instant noodles appearance, also known as instant noodles, drainage plate. 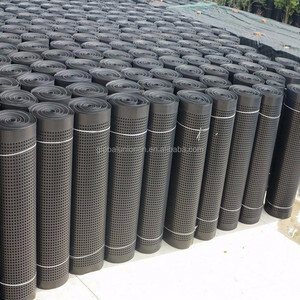 On the top of the dimples,there is filtration geotextile to make sure the drainage channel runing well without any block for any articles,for example,filling particles or concrete. Drain board Typical application: Landscape engineering:garage top greening,roof garden,football field,golf course,beach project. Construction engineering :upper or bottom layer of building foundation,basement wall,bedding filtration and heat insulation. 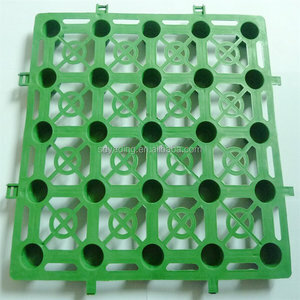 Zhejiang Hengsite Plastic Co., Ltd.
&bull;Chemical resistance, resistance to puncture of plant roots. &bull;Construction engineering : Upper or bottom layer of building foundation, Basement wall. or it is 10-15 days if the goods are not in stock, it is according to quantity. 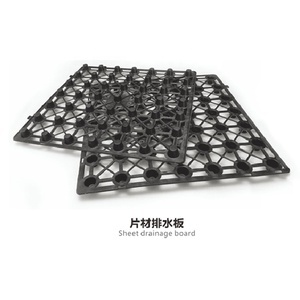 Alibaba.com offers 1,156 green roof drainage board products. About 24% of these are other earthwork products, 7% are plastic sheets, and 1% are ceiling tiles. A wide variety of green roof drainage board options are available to you, such as free samples, paid samples. There are 1,156 green roof drainage board suppliers, mainly located in Asia. The top supplying countries are China (Mainland), Vietnam, and Turkey, which supply 99%, 1%, and 1% of green roof drainage board respectively. Green roof drainage board products are most popular in Southeast Asia, Domestic Market, and Western Europe. You can ensure product safety by selecting from certified suppliers, including 1,094 with ISO9001, 558 with ISO14001, and 389 with OHSAS18001 certification.